Present organ, B 1962 Davis & Laurie. 1 manual, 3 ranks extension, electro-pneumatic action. 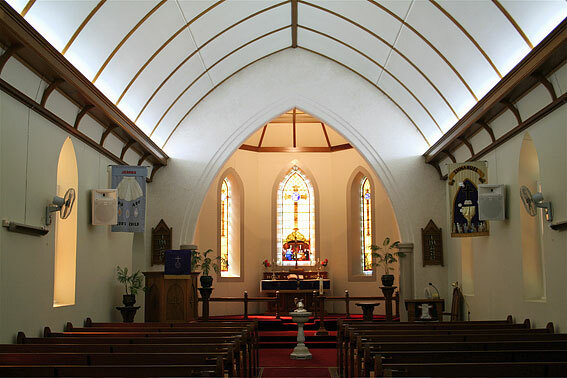 The two Lutheran churches of Light Pass are separated by a matter of metres. 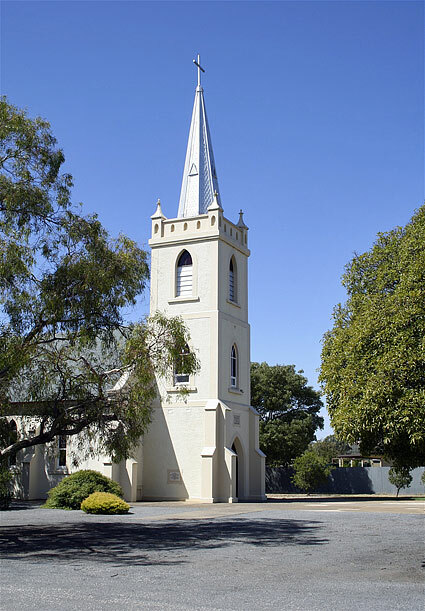 In 1860, a disgruntled group had separated from the Immanuel congregation to form their own church to become known as Strait Gate, not 200 metres away. Both buildings and organs reflect progress. Whereas Strait Gate has retained its 1925 Dodd organ, Immanuel replaced its 1876 Lemke instrument with a Davis & Laurie instrument of 1962. On the other hand, Immanuel retains its 1886 building whereas Strait Gate has a stunning building designed in the 1960s by Otto Von Schrameck. As elsewhere, the role of the school teacher was also that of church musician, many long serving. 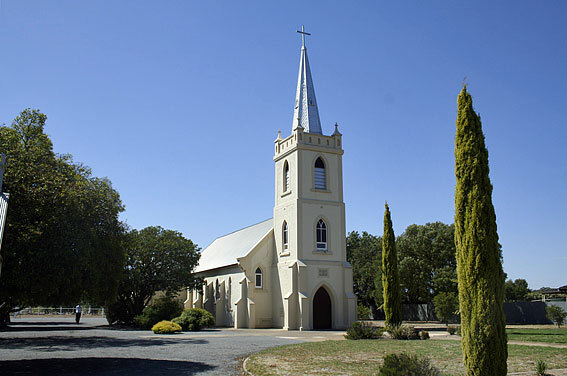 Lights Pass school was the third Barossan Lutheran school and was established in 1846 with their first teacher G.J. Rechner. Johann Lowke served as teacher for 43 years from 1866 to 1909 when the school closed. He was also the organist and bell ringer of Immanuel. The first church served as the school for some time. 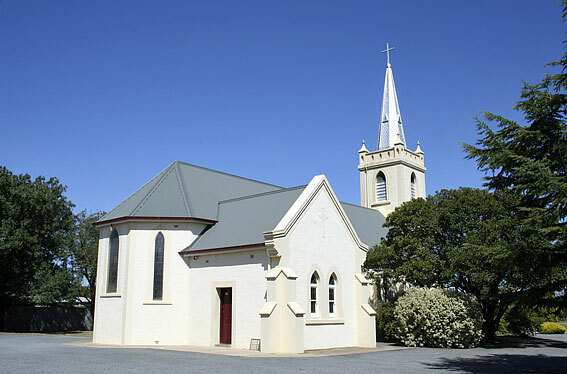 The current church was dedicated on 29 November 1886. 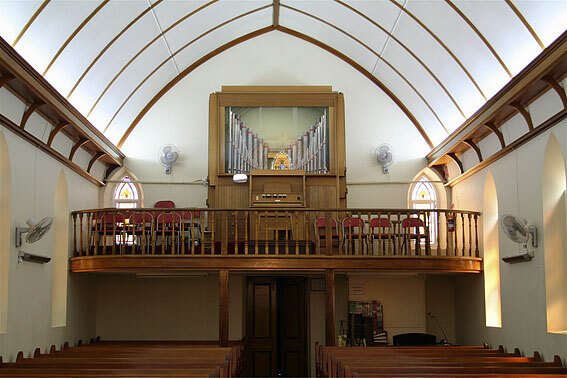 The organ was partly dismantled, and transferred on to the gallery by teacher Lowke and one of his daughters, where it remained till 1961.4 Presumably it had been placed to the right of the pulpit in the old church. The annual meeting of the church in February 1959 determined the Lemke organ would sooner or later need to be replaced. 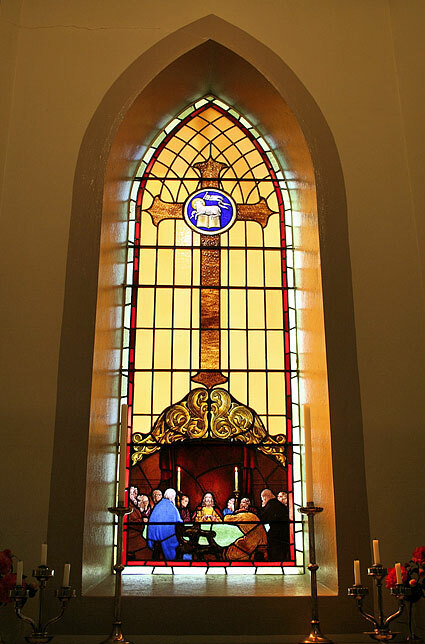 Offerings in aid of a new organ were begun. In 1961 the half yearly meeting scheduled for August was adjourned to allow a detailed investigation and report concerning the feasibility of purchase. In September it was reported that a new organ could be purchased and erected on the gallery for £2000. The organ fund stood at £324.19.8. A long discussion ensued. One can only hazard a guess at the dynamics of the meeting. Finally, provided the old organ be taken, four unnamed members of the congregation were prepared to pay the balance. The resolution was taken for a new instrument. 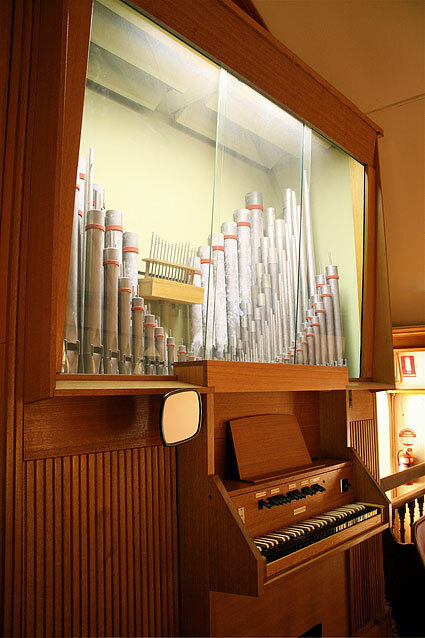 Built by Davis & Laurie Pty Ltd, of Melbourne, this organ was dedicated in January 1962. Of interest is the reversed colour of the keys with white sharps and black naturals. 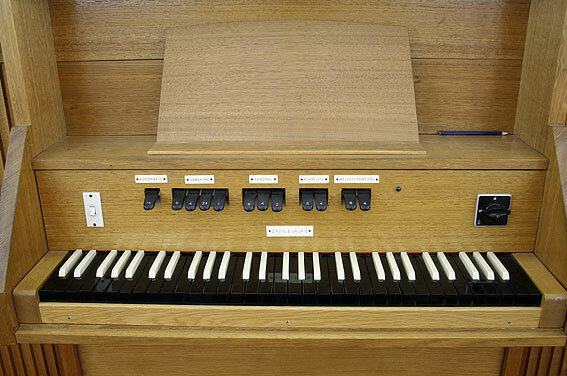 It is also the only organ in the Valley to possess a roller schwellen for progressively increasing or decreasing the sound. It has a single manual and no pedals. 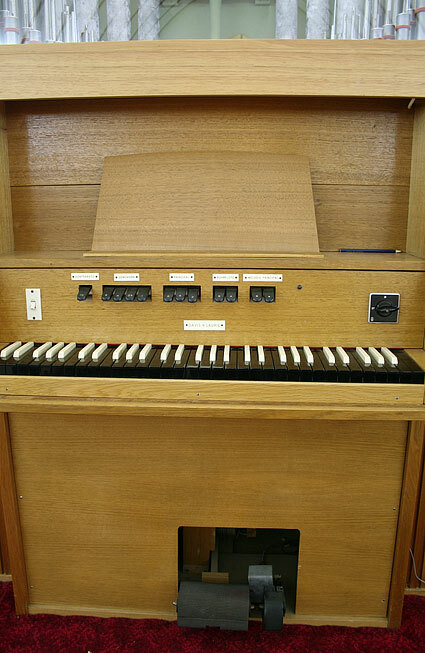 An electric action extension organ, it has 12 stops derived from three ranks of pipes, all visible in the case. Because Steve Laurie felt very few could handle the idea of an extension organ, he experimented. To assist the organist, the stops were grouped according to the rank from which they were derived. 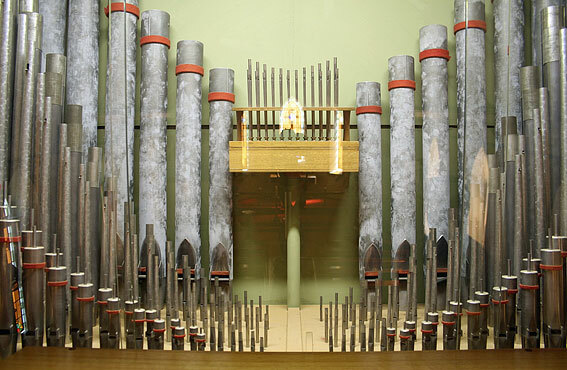 There are three groups of stops so that the organist could see very well when they put on the Gemshorn 4ft, for example, they would know it was an extension of the Gemshorn 8ft, so it could be used more intelligently. 2 Light Pass Immanuel Lutheran Congregation. The Story of Two Bells – two Organs [author unknown], 1980; for further information about Lemke and his organs, see sections on Gruenberg, Eden Valley, Point Pass and Ebenezer. 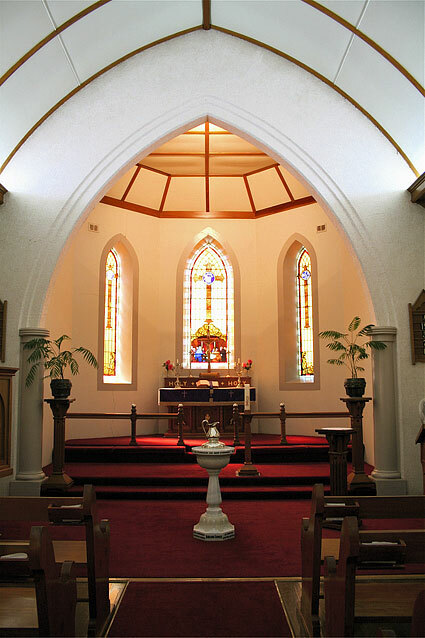 4 Hebart, Th., The United Evangelical Lutheran Church in Australia, (1938, 1985), p.264; The Story of Two Bells, op.cit. 6 The Story of Two Bells, op.cit.